A warm, uplifting and re-affirming experience awaits you at our hour long service beginning at 1:00 p.m., featuring music and a special message for adults and children alike. Worship Services at Resurrection are user-friendly. Have you ever found yourself confused during a church service flipping between various books and pamphlets, not knowing what to do next? So have we. We've put everything you need into our easy to follow weekly bulletin and our Pastor gives frequent and friendly direction during the service so you can easily follow along. And of course, many of our members will be happy to help you. 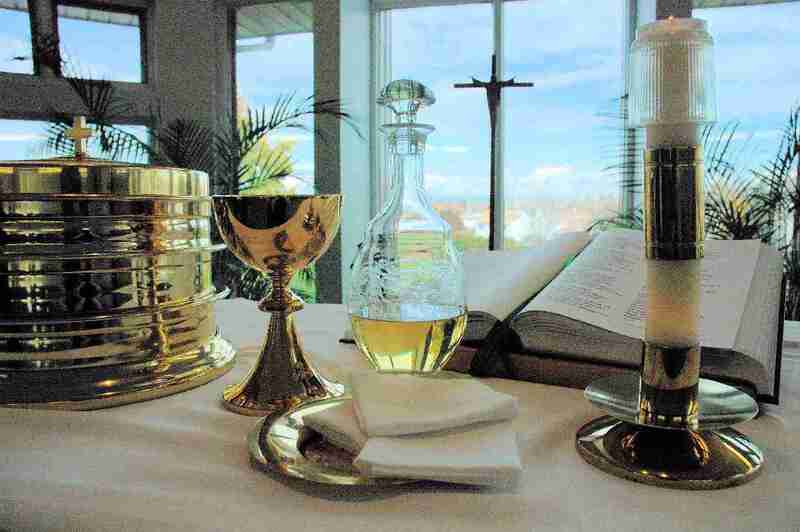 Holy Communion is offered at each service to all baptized. for all is now ready. Children are welcome to commune or receive a special blessing at their parents' discretion. during the Worship Service to your child(ren) or they can remain with you during the service. For more information please view our Education page. you are invited to enjoy light refreshments and conversation in the church Fellowship Hall. is available should you require a private place for infant care or a quiet retreat for you and your child. is available. Please ask an usher for this copy upon entering the sanctuary.